Designed specifically for solving problems of high-precision processing standard (diameter 0.1-0.3 mm), and a special thin wires (diameter of from 0.01 mm = 10 µm). 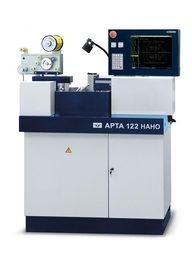 Provides the minimum width of the cut groove is less industry is 20 µm. Is used in the production of micropetala microwave equipment, items, devices, nanotechnology products increased accuracy. Resolution interpolation (step movements): 10 nanometers (10 nm = 0,01 µm) !